A quick little map with many strategic aspects. I must confess, I found the SVG from wikipedia, although it did need quite a few tweaks. This is my fourth map and my second good one! Review by Nathan on 6/12/2014. Fun map with interesting geography. Strategically, however, you could make a couple of improvements. First, some territories are part of a superbonus, but not of any smaller bonus. This makes them vary greatly in terms of their tactical value. I would prefer they be more balanced. Second, I know geography is beyond your control, but the southern islands are too isolated. Whoever controls them is likely to end up controlling the entire map. Other than that, nice job with a very intriguing area of the world! Thanks for the feedback! I know the geography is a bit of a bummer. 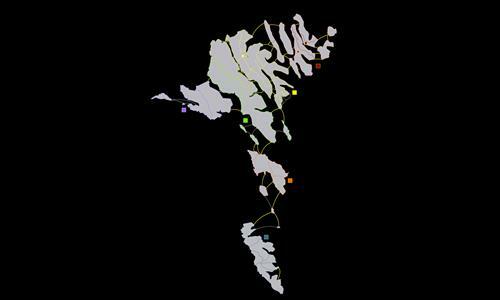 I might add sea territory around the Southern islands to compensate for their isolation. As for the bonus at the top right, I simply followed the existing sub-territories on the map I used. I could just remove the smaller bonuses from the super bonuses and make the super bonuses smaller to fix that. Review by Captain Carrot on 6/14/2014. True. Unfortunately, those bonuses are the only possible bonuses.